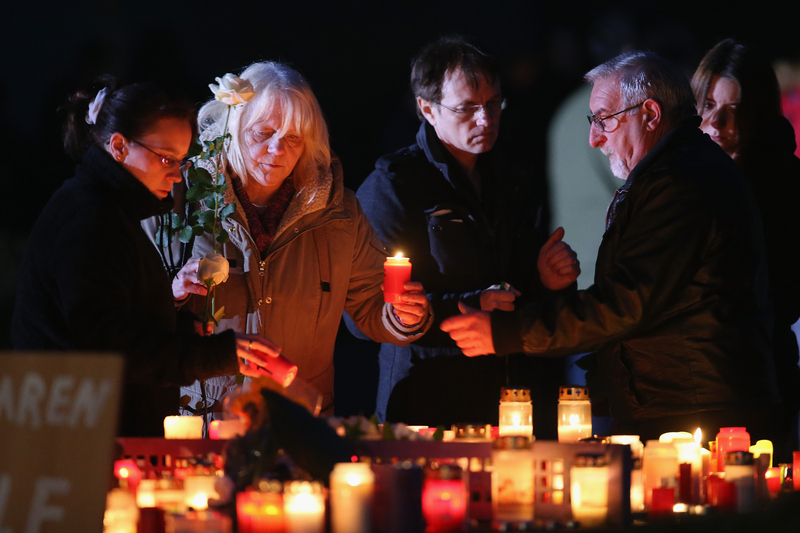 The third American victim of the Germanwings flight 4U 9525, Robert Oliver Calvo, was identified Thursday, the U.S. State Department confirmed. He also is known just as Robert Oliver. He was a 37-year-old American citizen who was born and lived in Barcelona, where he worked at Desigual, a clothing company. He was traveling for work with another employee of the company. Oliver leaves behind a wife and two children. According to Oliver's LinkedIn profile, he had been the Desigual real estate project manager for the German, Austrian, & Swiss territories since early 2011. He graduated from the Polytechnic University of Catalonia in 2002. All fathers and mothers, families who have lost a loved one, a son, a daughter, a loved one, to death, I'd encourage them to not focus on those last 10 minutes, the final crash. I'd like to encourage them to think about the wonderful years that they have enjoyed of life together, those wonderful moments, happy moments with the family, with friends, the name, their reputation, think about the good moments, the wonderful moments, and of course think about the future. ... For the moment we prefer to be with our grandchildren and with the wife of our son to comfort them and be alongside them. Two other American victims were identified as Yvonne and Emily Selke, a mother and daughter from Virginia. Yvonne worked for U.S. government contractor Booz Allen Hamilton, and Emily had recently graduated from Drexel University in Philadelphia.